It's hard to believe that 2012 is more than half over. It seems like I was just getting used to writing 2012 down for the date instead of 2011. 2013 will be here before I know it. Like all years, there has been tons of good books released in early 2012. Authors never fail to thrill me with books that somehow manages to differentiate themselves from the millions of books published before them. *This list only includes released books. Otherwise, The Raven Boys would be high on the list. **There's a tie for #1. The False Prince wins for the book I most enjoyed. The Fault In Our Stars wins for best writing. Sage is plucked from an orphanage and becomes a candidate to impersonate a prince. An entertaining, hilarious, seat of your pants read for all ages. In a world crowded with fantasy adventure series, The False Prince stands out for its fabulous dialogue, enchanting protagonist, and well developed plot. Hazel is 16 years old and in a waiting pattern to die from terminal cancer. She meets Augustus Waters, a cancer survivor, and her world turns around. An exceptional book. It's a book you read to fall in love, to learn, and to grow. Every line is quotable. The kind of book that only gets better once you've finished it. Assassin nuns! Ismae is a new sister at the convent of St. Mortain where the nuns assist the god of death. Ismae is tasked with possibly assassinating a high political official in the Brittany court, but she'll have to get past handsome, smart Duval first. This book has something for everyone: romance, humor, girl power, action, politics, history and more. I finished this book a few days ago and it's still haunting me. A WWII book like you've never read. "Queenie" is a young British spy who's been captured by the Germans. She chooses to collaborate and reveal her secrets to stop the torture. Or does she? We learn the story from "Queenie" and her best friend Maddie's point of view. Heartbreaking. Hadley and Oliver meet on a flight from New York to London and have an immediate connection. A magical story. It may only be 250 pages and take place over 24 hours, but by the end of the story, it feels like Hadley and Oliver have known each other forever and you've been following their lives for years. A book that will put a smile on your face. Jordan is an incredible football player who is just one of the guys. Romance doesn't interest her until handsome Ty Green joins the team. But is that the love she should be looking for? A refreshing burst of light in a field of tired contemporary fiction novels. A one-of-a-kind main character that you can't help love, a sweet romance, great examples of friendship, and a prominent family subplot. Fabulous dialogue. 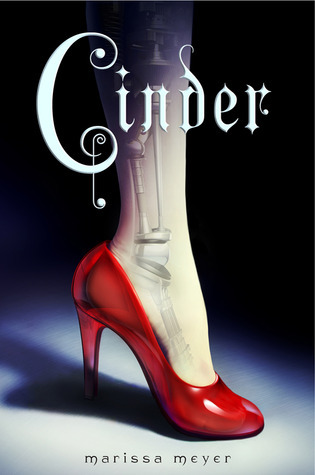 Cinder is a cyborg: a second class citizen in public and within her own family. Until she catches the attention of Prince Kai... A fast moving sci-fi/fantasy/dystopia for the non-sci-fi fan. Cinder features a strong main character who may like having a handsome prince but definitely doesn't need one. Plus it goes far beyond the traditional Cinderalla story. A great debut. 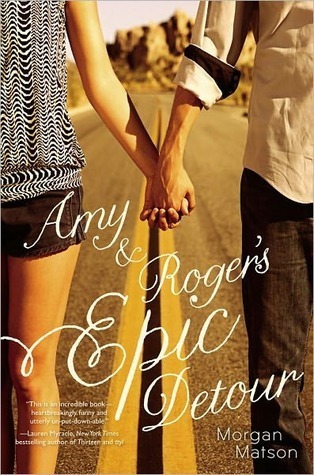 Amy is still grieving the death of her father and is now stuck on a cross country road trip with Roger, a guy she doesn't know. With nothing to do but sight-see and talk, Amy and Roger quickly develop a connection. 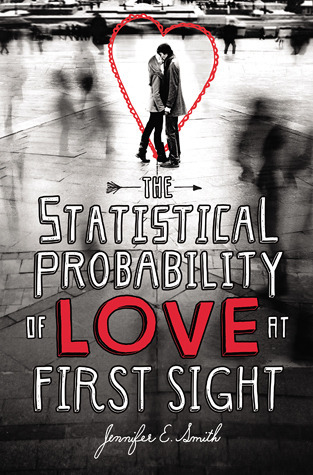 The book is about two teens' journeys to discover themselves and ultimately, each other. Part armchair travel, part snarky, witty dialogue, part romance, part self-discovery, and part scrapbook. A unique and fun novel. Avry heals people and saves them from death, yet she is hunted and feared. She is kidnapped by a rogue group who want to force her to heal someone. During the long journey to the group's homeland, Avry discovers friendship, love, betrayal, and facts that challenge her view of the world. Great world building and a love interest that I really enjoyed. Allison has hated and feared the vampire rulers all her life. When she becomes one, she has to adjust to a lonely, painful existence. Still trying to help humans, she joins a ragtag group seeking a cure to the disease that plagues mankind. 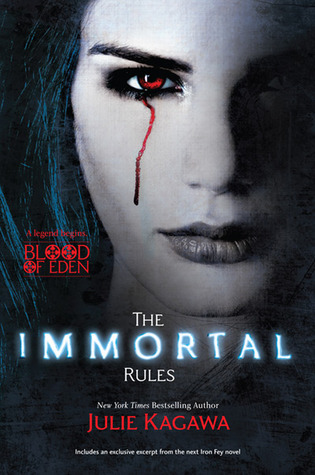 Fabulous vampire mythology. I loved Allison - a survivor, in ways good and bad. The romance is weak, but Allison's training with her vampire mentor Kanin makes up for it. -Delightfully dark lyrics with a great minor key. I could stare at Jack White all day in this video with his facial expressions. 2. Some Nights by fun. -By far my favorite fun. song. So much better than "We Are Young," which is also good. The video tells a great story. -I also love Dirty Paws, Mountain Sound, and everything else on the My Head Is An Animal album. -No matter how many times I hear this song, I don't get sick of it. -One of my favorite bands. I also love The Rifle's Spiral on the Port of Morrow album. -You need some cheering up? Just watch this video. Impossible not to smile at the pure joy. 8. Carry On by fun. -I like the acoustic video a bit more than the version on the album. -Not played as much on commercial radio, but a catchy tune. -Rivals Rolling in the Deep for my favorite Adele song. I loved Grave Mercy and The Fault in Our Stars, too. And The False Prince has shot to the top of my TBR list after seeing such praise for it! Some fabulous choices there. 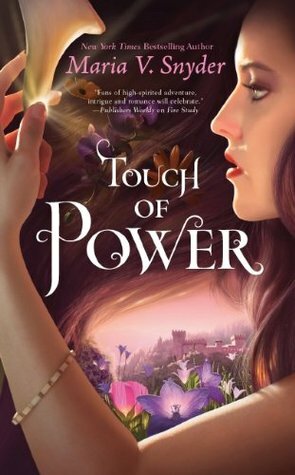 I loved A Touch of Power! And the Gotye song is definitely one of my favourites. Great books and great music! WIN! Ahh, totally agree with you on Of Monsters and Men and The Shins. You have great taste! I have, sadly, only read The Fault in Our Stars from your books list, but Grave Mercy and Code Name Verity are really high on my TBR pile. Great lists! Many of my faves are on both lists, and I think the books that I haven't yet read are all on my TBR list. Oh, hellz yes to the ones I've read and OMG I need to read those others...So many good books this year! I LOVE IT! I'm ashamed when I think I only read two books in your list, but love your choice! Oooh nice choices... I absolutely adore Cinder, Grave Mercy, Catching Jordan, & Amy and Roger, and a couple of the others I enjoyed, so that makes me think that I need to read The False Prince PRONTO... I've definitely heard good stuff about it, and it sounds quite cool. Great list of both music and books. 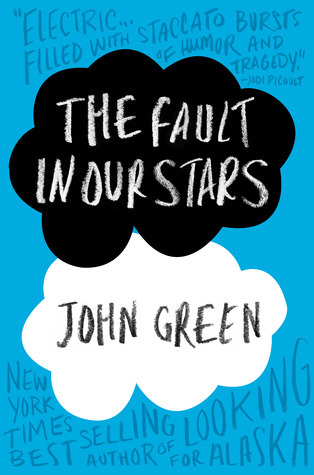 I absolutely loved The Fault of Our Stars by John Green. Definitely going on my favorites of 2012! And, of course, I love Gotye and Adele, but I really like the two songs you've listed by Fun. I hadn't heard of them before, but think I'm going to download some of their music tonight! I love Adele, and Gotye. I actually just bought Gotye's album Making Mirrors, yesterday. Please don't ask my how many books I've read from your favorite so far list because the number is embarrassingly low. Clearly I'm missing out. But I do have many of those titles on my TBR list. If only I could get a job as a professional reader. Life would be so much better. Fun is the best song ever! this is a great list although I only read 3 books from your list!! LOOL! But I agree on Cinder and Catching Jordan! Loved them both so much, and just like you I also read Catching Jordan this year and clearly I missed out on this great book! Oh and Cinder? Cinder was epically awesome! I still have to read "Code Verity" and "Amy and Roger". I've got so many books, I have no idea where to start. I try to make a list of priorities, but my mood keeps changing and doesn't want to comply. Great choices! TFIOS and The Immortal Rules and Amy and Roger and Cinder make my all-time favorites list! 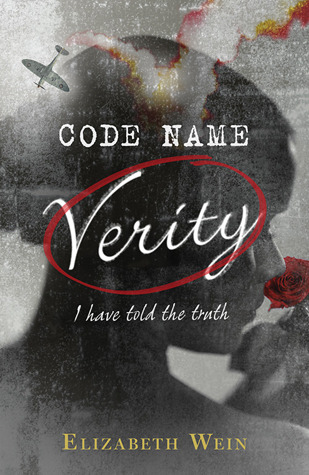 I've yet to read Code Name Verity and The False Prince, but now I'll have to add them to my TBR list! Oh and Touch of Power too! I can't wait for the sequel to that! I love Set Fire to the Rain, and my sister loves Somebody I Used to Know. It's starting to grow on me as well. 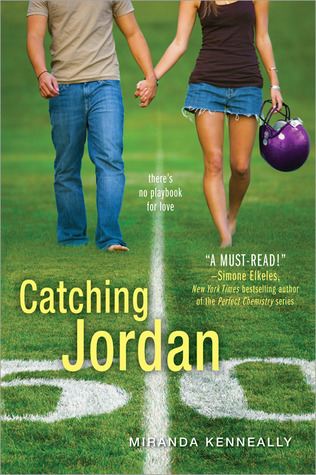 I still need to read Catching Jordan. Glad to see it's on the list though. I've read NONE of these. Yikes, I guess I need to pick up my reading. 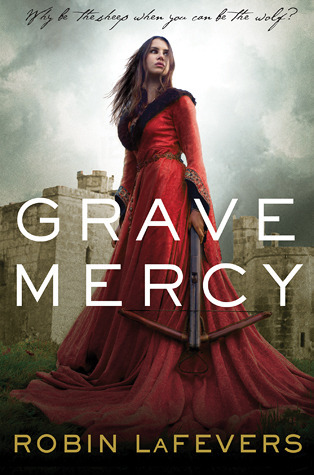 But there are some of these (Specifically Grave Mercy & Catching Jordan) that I'm really looking forward to reading. Such an awesome list! 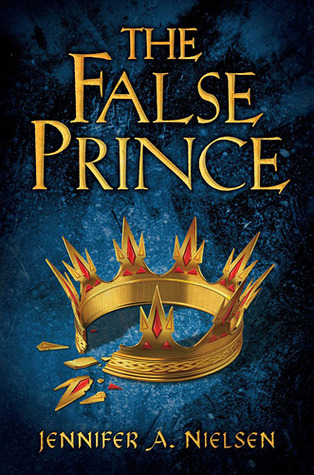 I just read The False Prince and loved it! The Fault in Our Stars and Immortal Rules are on my list too. But there are a bunch of books I LOVED listed here! You have so many of my favorite books on your list! I am so, so happy you loved Code Name Verity (I know you already told me, but I burst with happiness every time I see you say it). Have you read The Thief by Megan Whalen Turner (and the rest of the books in the series)? I came late to the party, but I just finished them and, oh my gosh, you will LOVE Eugenides! I finally picked up this series because someone said Sage from The False Prince reminded them of Eugenides, and he definitely is similar! So is the plot, but they're similar in the way that's great, not in a way that seems like a copy.